Johnia Berry's friends and family say she was a vibrant beauty, very ambitious, with an endless supply of kindness and generosity. During the early morning hours of December 6, 2004 around 4:00 a.m., someone entered twenty-one year old Johnia Brandon Park apartment looking to steal car keys. When the thief did not find what he was looking for in the living room, he went into Johnia's bedroom and brutally stabbed her. Johnia was able to make it out of the apartment and stumbled down two flights of stairs, knocking on neighbors' doors seeking help. No one responded and she collapsed and died a short time later. We were glad to find out that there was DNA left at the scene of the crime, but had no idea that the National Data Base lacked critical information to help solve crimes.That's when we began working to make a change in the laws in Tennessee. On May 9, 2007 The Johnia Berry Act 2007 was passed. The new law states that when a person is arrested for a violent felony, such person shall have a biological specimen for the purpose of DNA analysis taken. 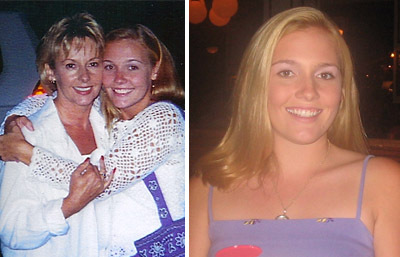 After waiting three long years, a DNA match lead to the arrest of Taylor Lee Olson on September 24, 2007, for the murder of Johnia Berry. Joan is a strong advocate for DNA Arrestee Legislation and for all victims rights, and in addition reaches out in support of others that have lost love ones to a violent crime through HOPE for Victims. It is Joan's hope that sharing the story of Johnia's murder will bring awareness to the fact that DNA arrestee laws should be passed in all states. And her prayer is that another family will not have to endure the pain of losing a loved one.